The owners, organisers and hosts of major events need to keep talking and Host City conferences are playing a crucial role in this process, according to Sir Craig Reedie CBE, President of the World Anti-Doping Agency (WADA) and former Vice President of the International Olympic Committee. The fourth Host City conference and exhibition – Host City 2017 – takes place in Glasgow on 28 and 29 November. The World Academy of Sport is a Media Partner of the event. The first Host City Asia conference takes place in Beijing on 18 October. 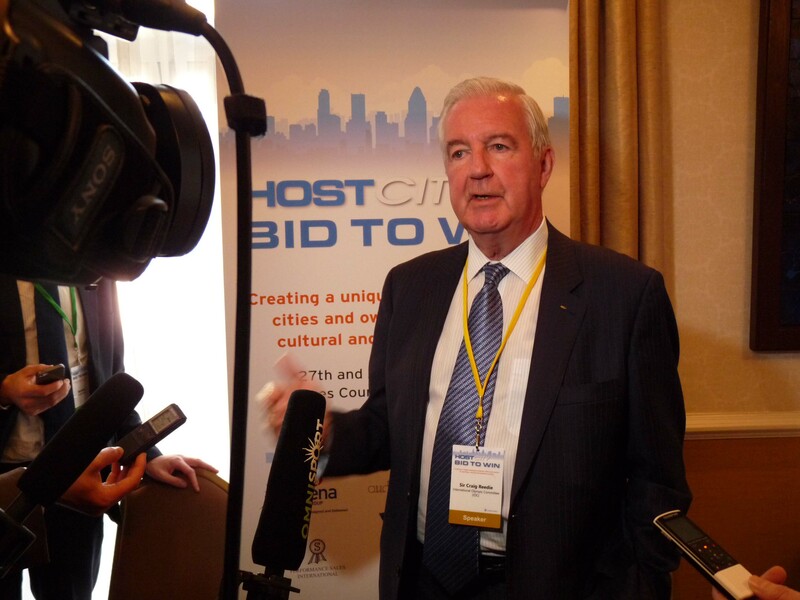 Sir Craig Reedie said: “Host City is a really good conference involving cities that want to host events. Anything that can be done to put sport and cities together at an early stage is a good idea and I look forward to this happening in Glasgow and Beijing. “The Glasgow event is getting bigger and bigger each year – that shows that there is a need for it. “I expect Host City Asia in Beijing will show what a different market is like. China is full of large cities and there are lots of options within the country. For sports that are big in China – badminton for example – there is always a bidder for a major event. “So, it will be interesting to see what lessons are learned from the Host City event in Beijing; because in the rest of the world it’s a question of encouraging cities to bid. “Communication is vital in both the bidding phases and the delivery phase. The IOC appear to be looking at changing the Winter Games bidding process going forward, to make that process more comprehensive and start even earlier. Event rights holders including international federations, national Olympic committees, bidding and organising committees comprise a substantial and growing part of the Host City audience. Sir Craig Reedie has immense experience leading all these types of organisations, from bringing badminton into the Olympic Programme and presiding over the sport’s international federation to chairing the British Olympic Association and the London 2012 bidding and organising committees. Until 2016 he was Vice President of the International Olympic Committee and is currently President of the World Anti-Doping Agency.